Troubled by the lack of drive she has seen in teenagers and young adults, Taayoo A. Murray is setting out to teach the next generation the benefits of goal-setting, a skill that she strongly believes is necessary for a successful future. 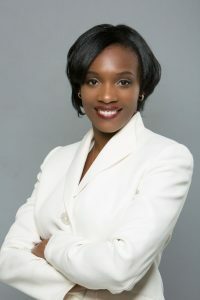 Her new book, “Making Me Happen,” blends Murray’s personal experience as a mother and her professional career as an educator and major nonprofit fundraiser to create an easy-to -use goal-setting guide. 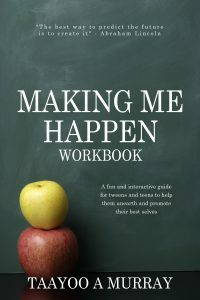 Released on April 25, 2017, “Making Me Happen” is more than just a theory; it incorporates real practices and methods Murray has used successfully with her own children…. 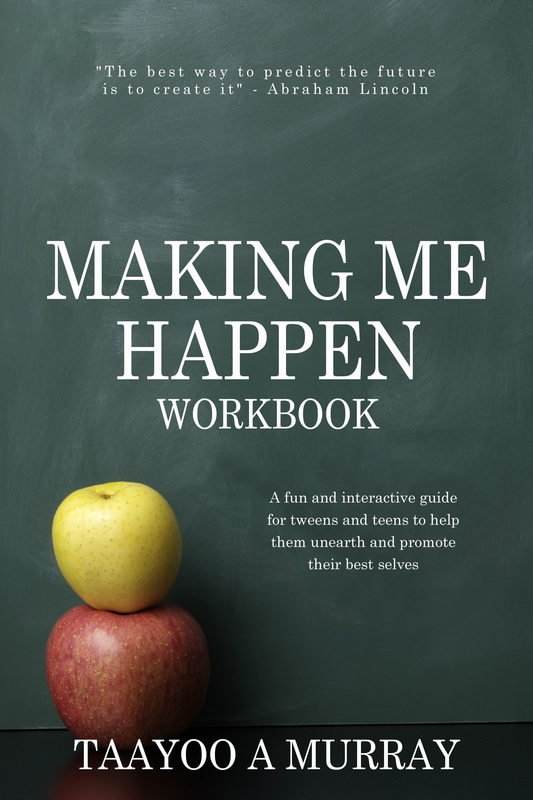 “Making Me Happen” is a fantastic resource for parents, educators, and anyone looking for a system for success. I recently had the opportunity to interview Ms. Murray about her book and to pick her brain about book writing, success, and goal setting. What inspired you to write Making Me Happen? I am a kinesthetic learner; I learn by doing. By default, that is how I teach. My experience is that persons in general, including children, retain new concepts better when they practice them. It is on this basis that I felt compelled to develop this workbook for practical use. Did you always want to be a writer, or did this book just need to be written? I would not say that I always wanted to be a writer, but I definitely have had a goal of writing a book. I, however, am adamant about ensuring that my actions affect positive change in some way. This book is my way of contributing in that vein. If you could have a conversation over coffee with anyone in the world (past or present) who would it be? This may sound cliched, but I would like to speak with Nelson Mandela. However, not for the reasons that most people want to. I would like to learn from him how he mastered self-control. To be imprisoned for the length of time that he was and not be prone to violent outbursts of anger speaks to an underlying strength of self-control and restraint that I would love to develop. His obvious lack of anger and bitterness is evident in his demeanor and cannot be misconstrued with meekness or defeat. This I believe is worth learning. What are three things you would recommend for teenagers to forge a better drive and sense of self? • Determine one thing that you are very good at, own it, and hone it (even if it’s the ability to perfectly shape your eyebrows). This will help develop and boost self-confidence. • Develop the habit of believing and expecting the best for yourself at all times. For example, when you enter a room, always take the seat at the front, not the back. • Practice being uncomfortable. For example, raise your hand in class, respectfully express your opinion when it’s difficult. Eventually, your confidence will grow because you’ve become used to doing things differently. I don’t have a favorite book, but my favorite author is Nora Roberts. She is my recreational go-to for reading. I find her writing to have the right balance of intrigue and entertainment. What would you define success as? And how would you recommend teenagers best go after that success? A successful person in my eyes is anyone who has the clarity of vision to know who they want to be and the conviction and will to pursue and achieve it. Having said that, the face of success varies. A successful teenager may be a paradox, just because a teenager’s life is evolving. However, my recommendation for the best way that teenagers can go after success is to clearly define what success means to them at any given time and set it as a goal. From simple things like being able to find your shoes every morning to getting an A on the Algebra test. Constantly having a clear idea/plan of what you are working towards develops the habit of ALWAYS having a goal. This not only ensures success but also makes you aware of when you attain it. Finally, what advice would you give to young authors? My advice to young authors may once again be cliched: JUST DO IT! Drivers drive, speakers speak, authors WRITE. It’s a becoming. Perfect practice makes perfect. Forget fear and just get on with it!